A tourist’s trip to Cebu would not be complete without paying a visit to any of the Gaisano Grand malls. 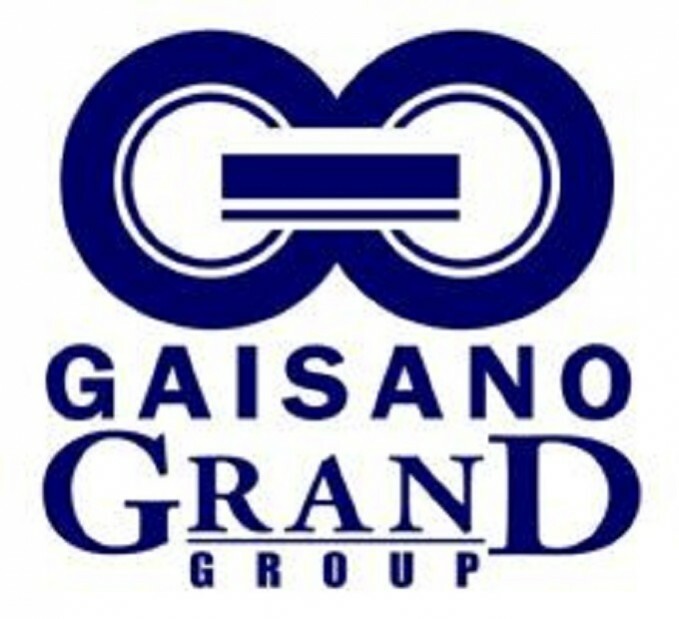 The Gaisano Grand Group of Companies is a part of Gaisano Incorporated, one of the largest shopping mall chains not just in Cebu, but in the entire Philippines. Gaisano Inc. is a chain of malls owned by one of the most prominent families in Cebu. It started as a small shop with a restaurant in Colon St., Cebu City. It was founded by the family matriarch, Doña Modesta Gaisano in the ’70s. Gaisano malls are managed by several groups namely Gaisano Grand Group, Gaisano Capital Group, Gaisano Brothers Merchandising, Gaisano City Mall, JS Gaisano (Gaisano Jr.), and Gaisano Market (formerly Metro Gaisano). The Gaisano Grand malls here in Cebu are Gaisano Grand Fiestamall Tabunok, Gaisano Grand Mall of Minglanilla, Gaisano Grand Mall of Toledo, Gaisano Priceclub Carcar, and Gaisano Mall of Mactan. Its main office is located at Fiesta Mall Tabunok, their biggest store. Latest additions to their fast-growing branches are the Gaisano Capital Tisa, the Gaisano Capital SRP, the Gaisano Town Center in Balamban, and the new Gaisano Capital South in Colon. Gaisano Grand malls are known for their inexpensive products especially in their department stores and supermarkets. They offer general merchandise, which include apparel, shoes, jewelry and fashion accessories, health and beauty aids, pharmaceuticals, toys, pet food and accessories, stationery and books, hardware, electronics, appliances, houseware, and home furnishings. They also have photo processing centers, cellular phone shops, optical shops, as well as fast food chains and restaurants. Their supermarkets are usually packed because their grocery items are cheaper than other stores. Shopping at any of the Gaisano Grand malls is a delight because a few hundred pesos will go a long way. The perfect time to go shopping is during their midnight sale. All department store items are marked down, including branded ones. Most of the goods have 10% to 20% discounts. If you’re lucky, there are items with 50% to 70% discounts. You just have to be more patient and unleash the bargain hunter side of you to be able to get the best deals. Their midnight sales usually start at 6:00 p.m. and ends at 12:00 midnight. To avoid the rush and to ensure that you get the latest stocks, it is best to go there at least an hour before the sale. By the time the sale starts and more customers arrive, you are already paying for the stuff you have carefully selected. If you want to have high-quality clothes, shoes and accessories that are unique and reasonably priced, Gaisano Grand has exclusive brands. These include Five & Co., Francesca, GG5, Ginger Studio, Joy and Peace, Kyla Dominique, Local Motion Company, Tab ,TabÜ, Xact Collection, b+basics, Active Gear, Baby on Board, Bare Essentials, beachhut, BG LAB, Comfort Zone, and Elements. 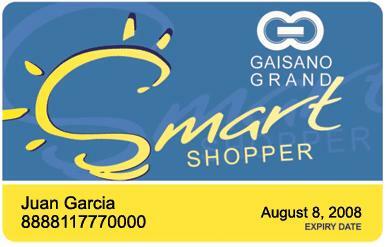 As a treat to their loyal customers, Gaisano Grand malls have a loyalty card called the Smart Shopper’s Card. Customers are offered grand rewards every time they shop. When a member buys any item and presents the card, they will earn points that can be used for future purchases. The more purchases they make, the more points they earn. It is very easy to be a Smart Shopper member. Applicants must be at least 18 years old. All they need to present are a receipt worth Php200, one valid ID and a completed application form. They also need to pay Php50 for the loyalty card. Loyalty cards are valid for three years. Points will be doubled when a customer pays in cash or buys at the department store. The shopper must at least have 20,000 points to be able to redeem points in exchange for gift certificates. 1. To be the leading business retailing corporation known for its excellent products and services. 2. To expand its horizon and steer the fundamentals of a strong structure, well-defined system, modernized technology, clean and friendly environment and a group dedicated and motivated people. 3. To partake in community development program, thus, foster human interaction outside of the organization. 4. And, all these guaranteed by a sense of accomplishment in our quest for superiority and to enhance quality of life guided by the moral standards of our society. Other Gaisano Grand Group malls throughout the Philippines are Gaisano Grand Bacolod Mall, Gaisano Grand Bacolod Main, Gaisano Grand Kabankalan, Gaisano Grand Roxas Mall, Gaisano Grand Market Place, Gaisano Grand Mall Antique, Gaisano Grand Mall Calbayog, Gaisano Grand Panabo, Gaisano Grand Toril U/C, Gaisano Grand Mall Tagum, Gaisano South Citimall Davao, Gaisano Grand Mall Digos, and Gaisano Grand Mall Koronadal. For more information, visit www.gaisanogrand.com. You may also go to their main office at Gaisano Fiesta Mall Tabunok, Talisay City, Cebu. yeah – sounds so glorious. But try to return something!!!! You’ll need everything but a signature from Duterte!!! Gaisano Carcar, Cebu has to be the dirtiest and most unsanitary supermarket in the Philippines. Poop of dogs and cats on the floor, urine smell many places, cockroaches running everywhere. Already complained last month, but this time is worse. Dept. of Health will be informed with pictures to CLOSE DOWN this store, maybe manager needs to go to JAIL for multitudes of violations. Hi, would just like to inquire if Cebu Southland Commercial an affiliate of Gaisano Grand Malls group of companies? almost all significant infos. I would like to see more posts like this . Can I simply just say what a comfort to discover someone that actually understands what they’re discussing online. this side of your story. I was surprised you are not more popular given that you definitely have the gift. hi, can you give me a favor? can you give me the website where can i find the list of customer service of gaisano mall.. i am a student majoring marketing management and planning to consuct a research about your services.. can you help me and be part of my research?? thank you.. kindly email me.. Thank you! I am trying to find a site that has brand products and prices for gaisano. I am from the u.s and would like to know if they sell foreign products like sm. As stated in the previous comments, Everything Cebu is not affiliated with Gaisano Grand. Their official Web site is in the article. YES! I couldn’t agree with you more, but the fact is they are L A Z Y!!! The internet? WHat’s that? That’s the thing with a computer, right? The internet in the P.I. is just for lazy greedy jerks to charge high prices. God forbid it should be used as in the West. That would take work and effort. thanks. this is just a suggestion only. Everything Cebu cannot provide you with such information because we are not connected with Gaisano Grand. We suggest you directly call them. Please refer to the Contact Us section of their Web site for the telephone numbers. Hello: how can I obtain a gift card for someone in Butuan City? I am unable to see where on websites for this service.